One thing I loved about the original Cloak and Dagger mini-series and regular series was the awesome Rick Leonardi artwork. I love the shapes and movement of his figures. They move so effortlessly and naturally on the page. He is definitely one of the earliest influences on my art. 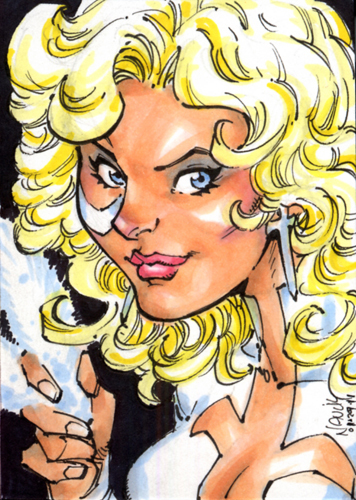 This entry was posted in Marvel, Sketch Cards and tagged cloak and dagger, comics, copic, dagger, marvel, pigma micron, sketch card, superhero by Todd Nauck. Bookmark the permalink.